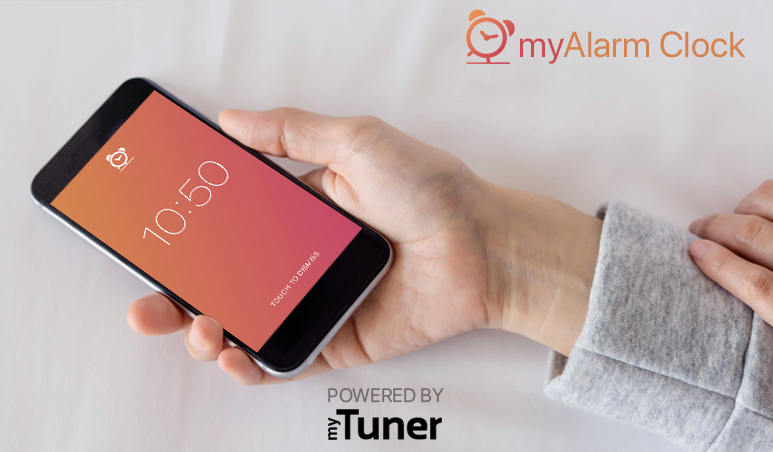 Porto, Portugal – From the same app creators of myTuner Radio, a radio streaming platform myAlarm Clock App m with 50 million downloads, Appgeneration now brings you a customizable alarm clock, myAlarm Clock. This app is more than just an alarm clock since its many features allow you to customize your wake up experience. You can have the pleasure of waking up to your favorite radio stations, podcasts, music, recorded sounds, ringtones, relaxing sounds, or to the talking clock that informs you about the time, weather and the news. You can personalize your alarm clock by choosing between different types of analog and digital alarm clocks and selecting its color. You can also choose if the alarm clock is set of with the flashlight, with a color transition show, or if you want it to vibrate or not. In addition, you can also adjust the screen’s brightness, select the ascending volume effect, or set your alarms for a specific location or Wi-Fi. myAlarm Clock allows you to set as many alarms as you would like, recurring or one-time alarms, for specific days of the week or holidays. To dismiss the alarm just touch the screen, double tap it, shake the device, or do a simple math equation (perfect for heavy sleepers). You can also prevent excessive snoozing by selecting the snooze time and the number of snoozes you want. This alarm clock app not only helps you to wake up on time, but it can also help you to sleep better. Set the sleep timer and fall asleep listening to a relaxing music or to a smooth radio station (up to 100 radio stations per country available). After having a good night’s sleep thanks to myAlarm Clock, this app is ready to help you once again, so you can wake up easily, don’t oversleep and always be on time! * Customizable alarm sound: radio stations, ringtones, relaxing sounds, songs, recorded sounds, time, weather information and headline news. * Recurring or one-time alarms. * Digital or analog clocks. * Alarm with vibration, flashlight and color transition mode. * Set alarms by location and Wi-Fi. 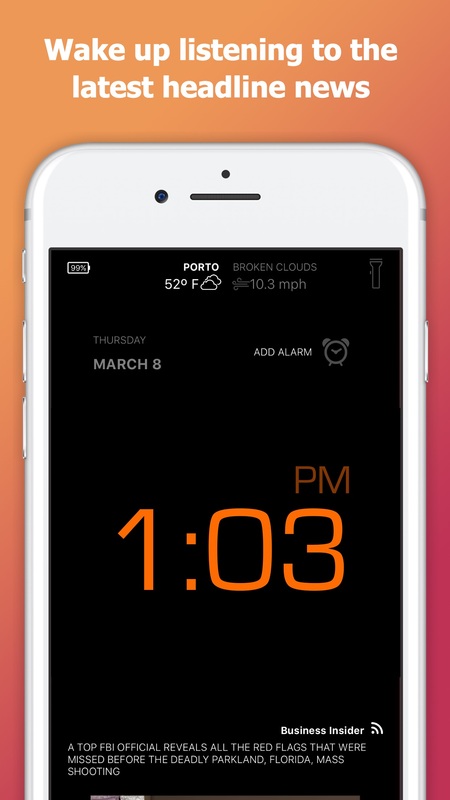 * Dismiss the alarm by touch, shake, double tap or math equation (perfect for heavy sleepers). * Select snooze time and number of snoozes. * Sleep timer with relaxing music or radio stations. myAlarm Clock supports English, French, Spanish and Portuguese (European and Brazilian). myAlarm Clock version 1.0 is currently available for Free for iOS in the App Store and in the Google Play Store in the Utilities/Applications category. Based in Porto, Portugal, AppGeneration Software specializes in software development and editorial content to provide a unique experience centered on smartphones and tablets. Copyright (C) 2018 AppGeneration and myTuner Radio. All Rights Reserved. Apple, the Apple logo, iPhone, iPod, and iPad are registered trademarks of Apple Inc. in the U.S. and/or other countries.